A forum for discussion and dialogue, the CJICL offers graduate students at Cambridge a unique opportunity to gain experience in the field of academic publishing, including copy-editing, drafting, blog posting and managing submissions. Each year, the CJICL publishes two regular issues and a special UK Supreme Court Review issue, which contains exclusive in-depth analysis of all UK Supreme Court cases issued in the preceding judicial year. Every year in May, the CJICL Executive Board organizes a conference on current topics in international and comparative law. The CJICL occasionally organizes other events for its editors and for the wider Cambridge community. The CJICL blog provides the Cambridge community and beyond a place to discuss current developments in international and comparative law. to facilitate collaboration between the Faculty of Law and legal practitioners and organisations undertaking legal work in a pro bono capacity. The CPP conducts three to four major research projects each year. It is led by an Executive Committee of four Faculty members and four to five graduate student members. Involvement in the Executive Committee provides an excellent opportunity to apply research skills in a practical, meaningful setting; make a substantial contribution to real world legal issues; and develop sought-after transferable skills. The GRS is a termly, student-run series at which research students present their work to a generalist lawyer audience on the challenging 20/20 format: 20 slides, with each slide up for 20 seconds. There is nothing more challenging than having to refine your topic to its very essence in order to communicate it to non-specialists. A must for all research students! 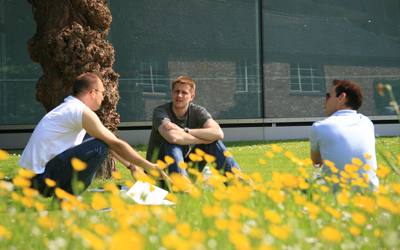 Research students in Cambridge are permitted to do up to 10 hours of paid academic-related work per week during their course, and many students offer their services as undergraduate supervisors for the Colleges or are recruited to assist in graduate workshop teaching on the LLM programme. Acquiring some teaching experience is a valuable step in academic career development, and there are professional development courses available free of charge from the University to support those undertaking this work.